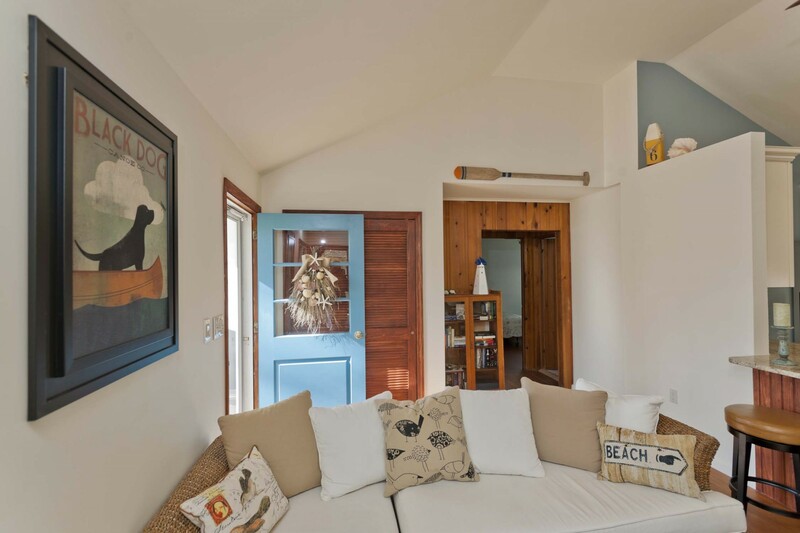 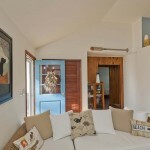 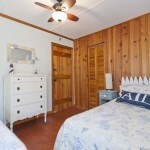 Two bedroom completely renovated cottage is a Long Island vacation rental with open plan living room/ kitchen and large family room. 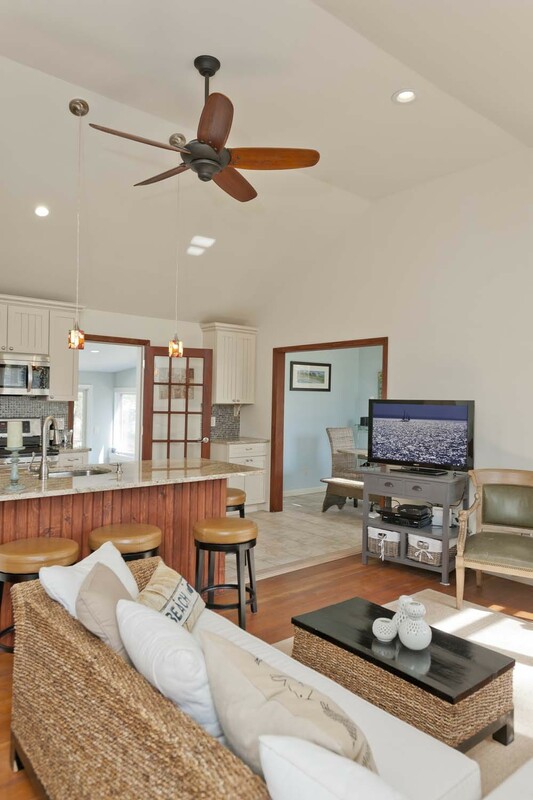 Walk to private beach Just steps away; kick back with a local bottle of pinot in the beautiful sun room, barbecue in the backyard or cook your favorites in the all new kitchen and dine al fresco on the patio, dining room or eat at the counter and entertain the cook. 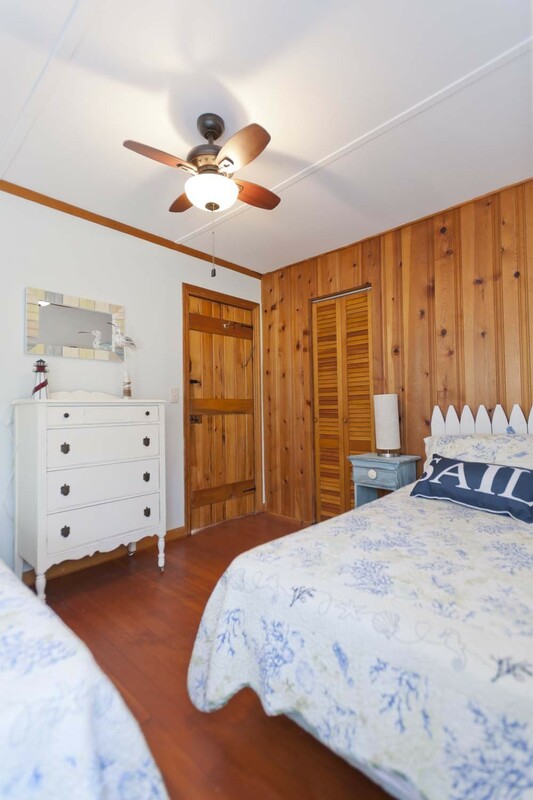 One bedroom at this Long Island vacation rental has a queen bed, the other two twins, both with ceiling fans and window air conditioning units. 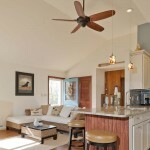 The large full bathroom is also brand new with stone and marble tile, a cathedral ceiling and skylight. 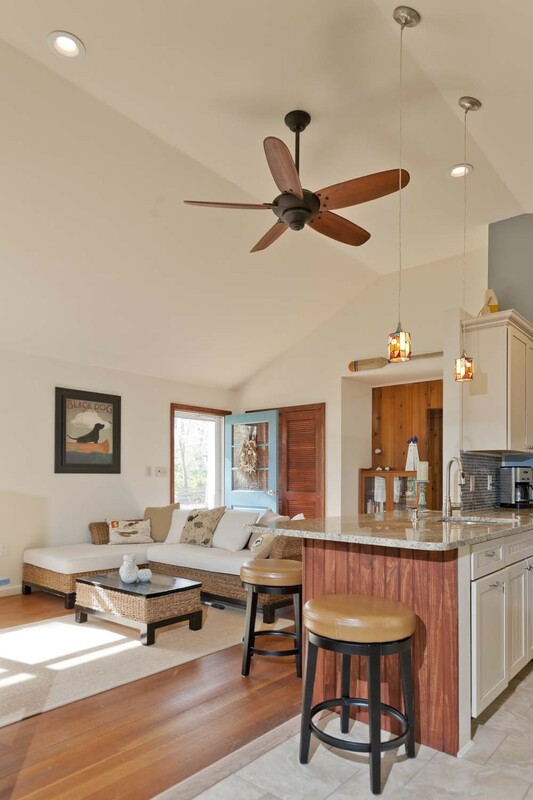 The living room is bright and airy with a cathedral ceiling, ceiling fan, and open format; perfect for relaxing or entertaining. 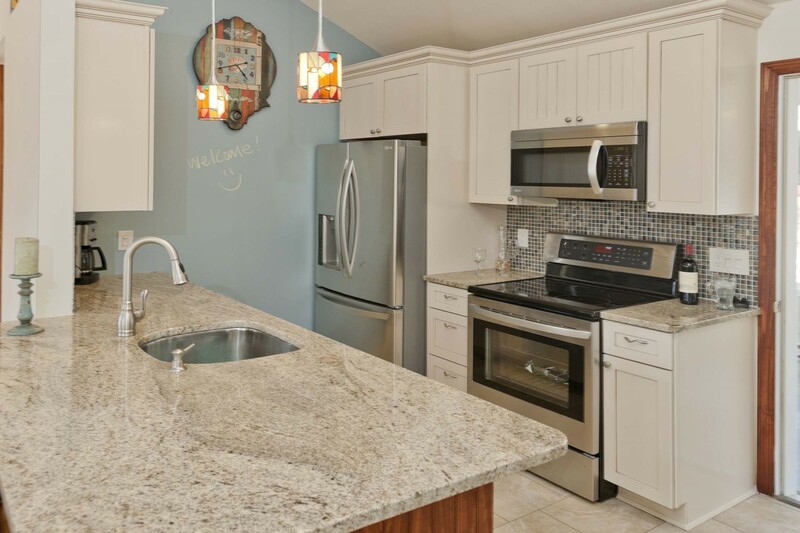 The kitchen with granite bar, new cabinets, tile and stainless appliances opens into the living room for the perfect gathering place. 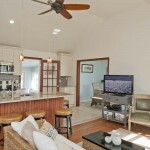 The dining room seats 6, but you also have the choice of eating at the bar! 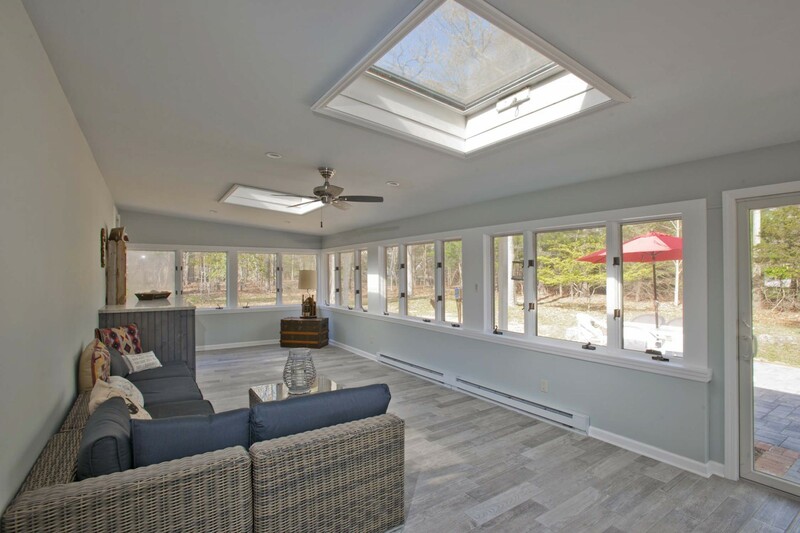 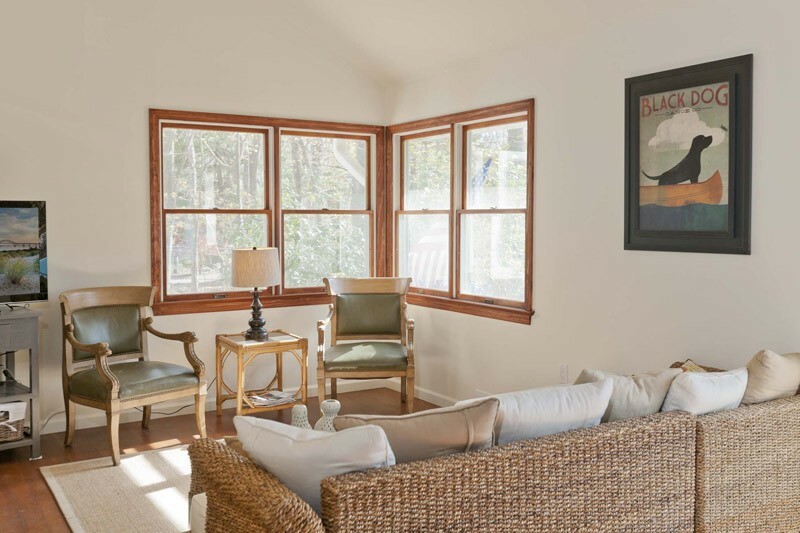 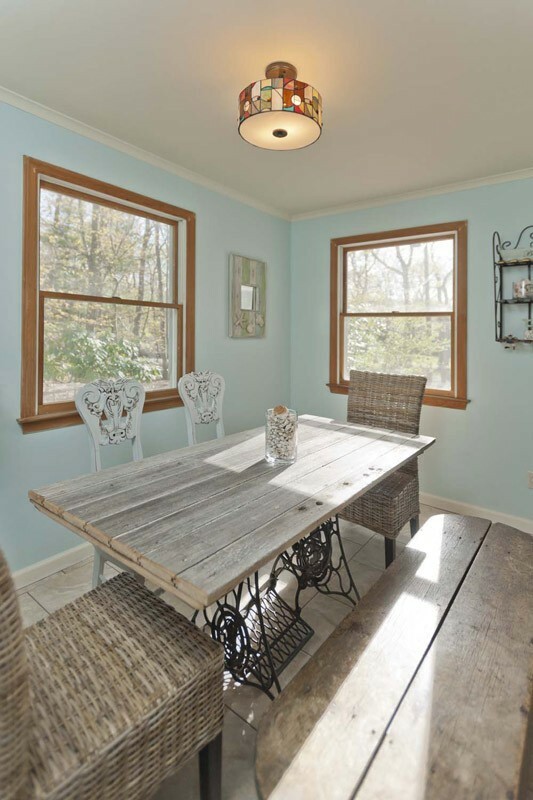 A french door leads the way from kitchen to the spectacular sun room, where you can spread out on the wicker sectional and take in the scenery… or continue on to the new patio or grab a good book from our loaner library and head for one of our adirondack chairs beneath the oak trees. 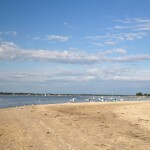 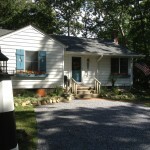 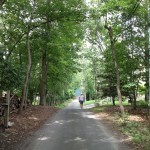 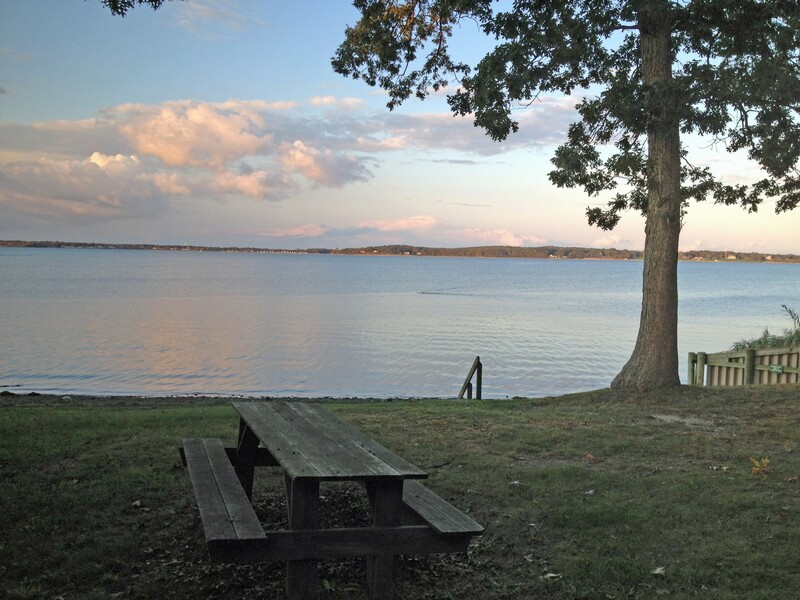 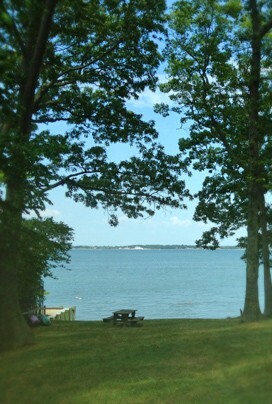 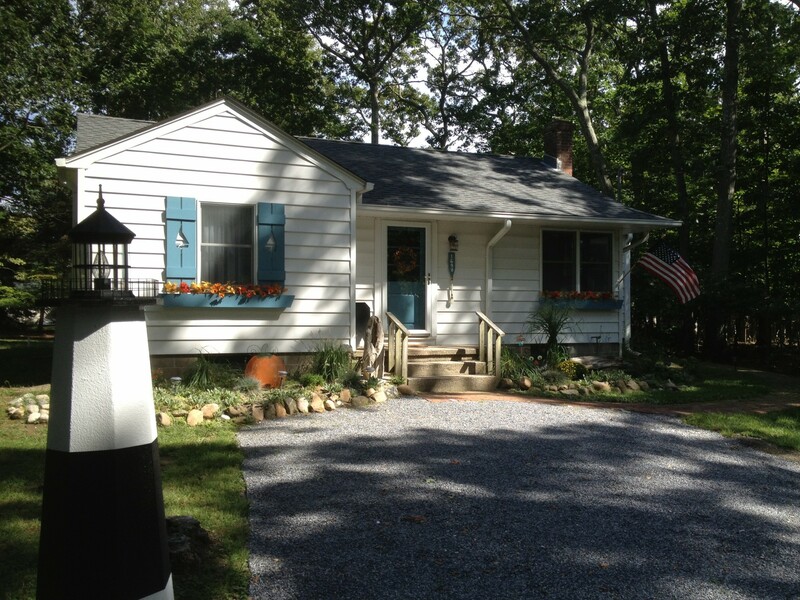 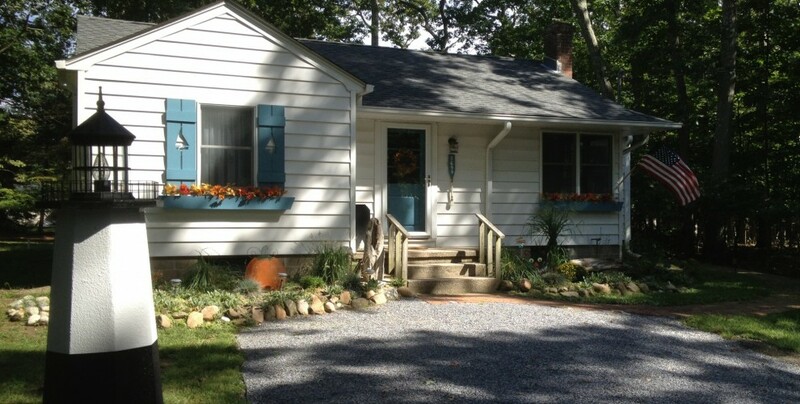 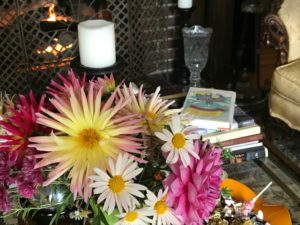 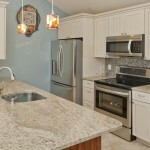 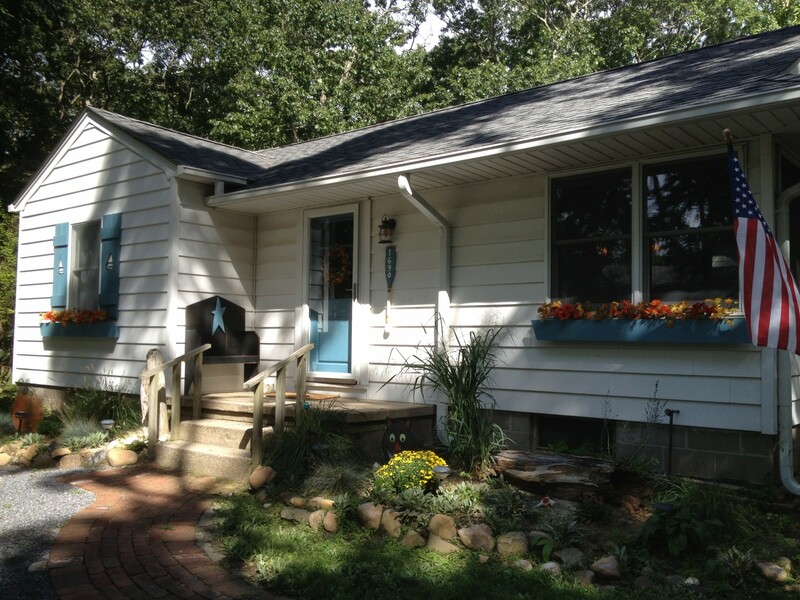 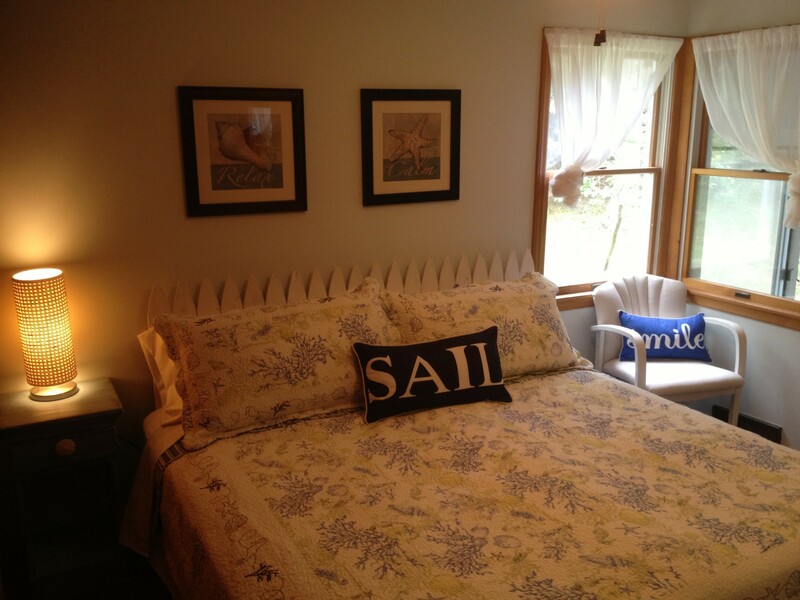 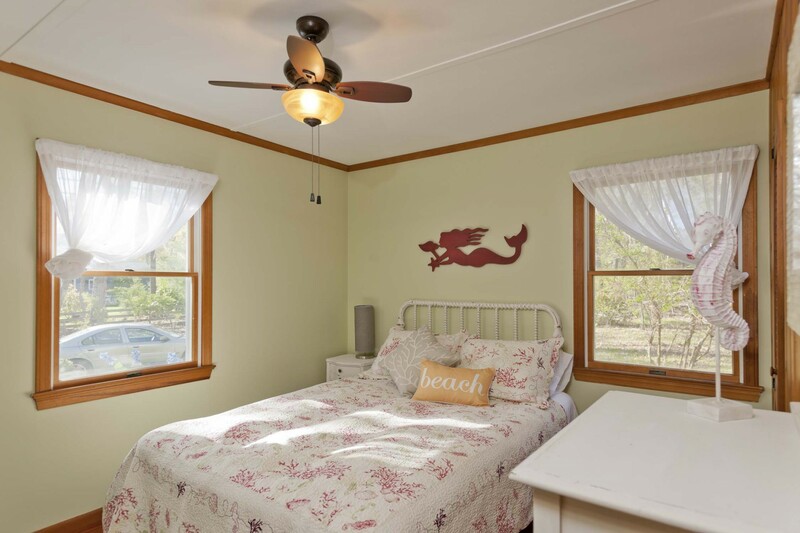 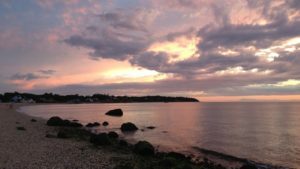 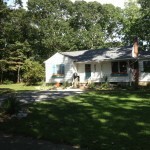 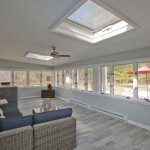 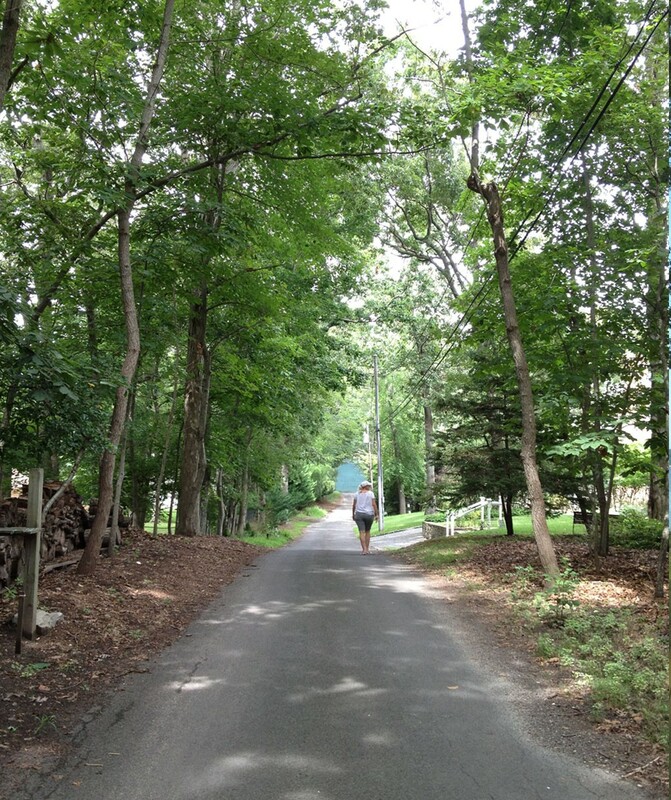 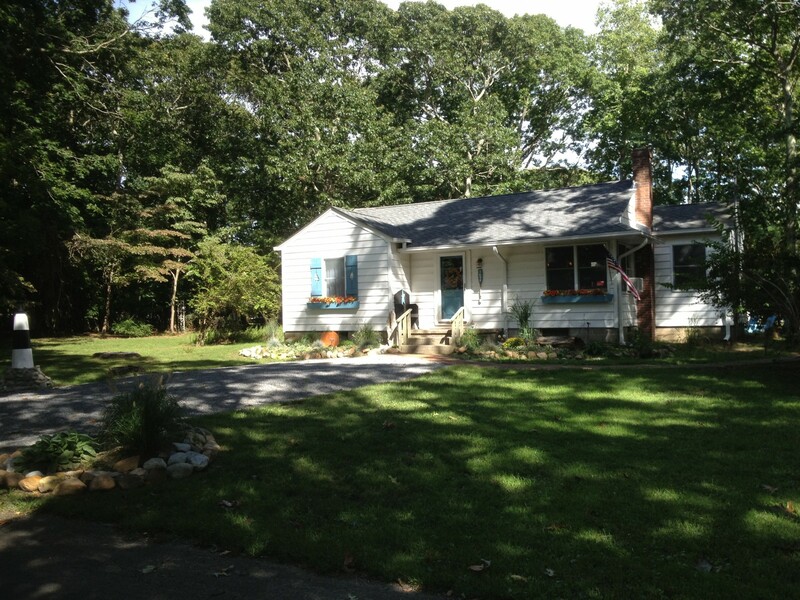 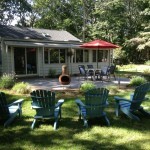 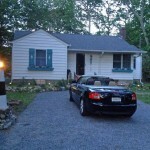 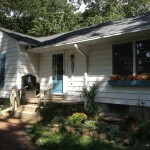 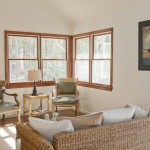 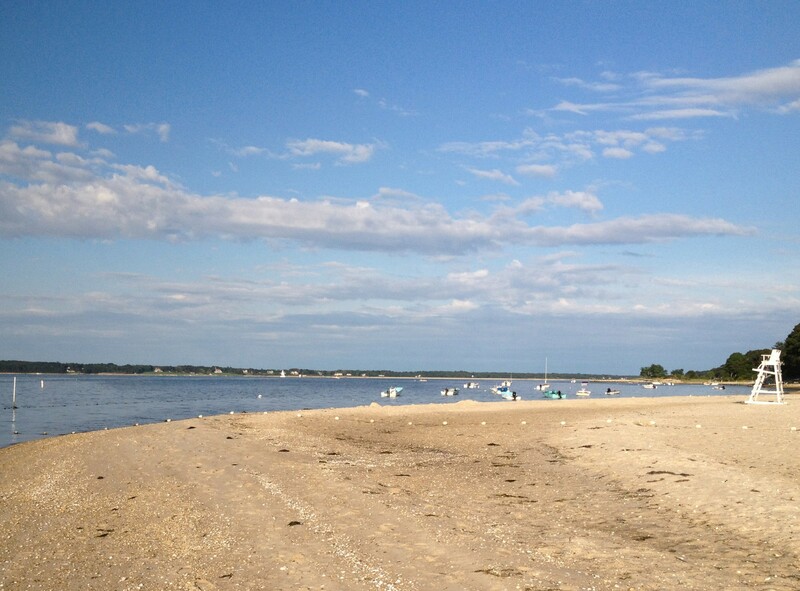 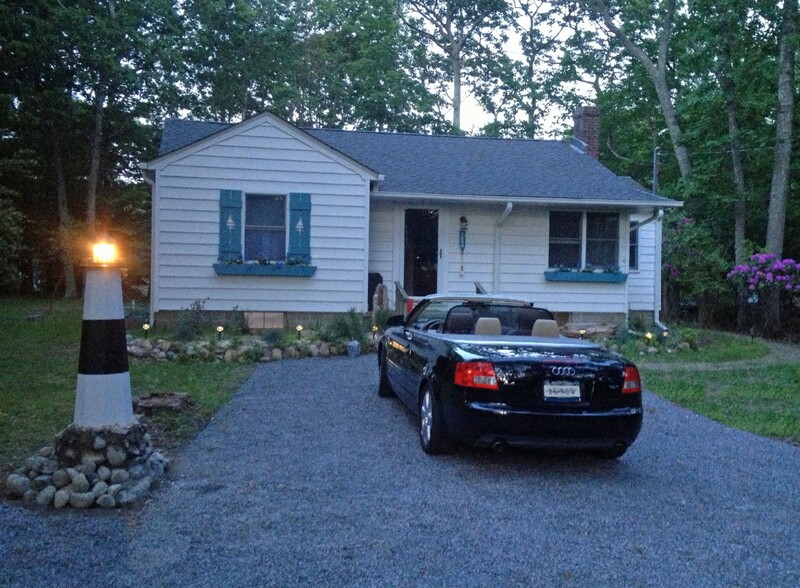 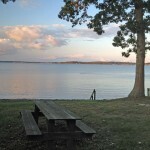 Listed nightly rates at this Long Island vacation rental for July and August are based on a one week minimum stay. 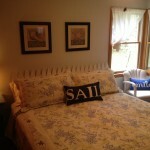 There will be an up charge on the nightly rate for a stay on less than one week. 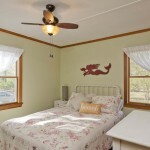 A cleaning fee of $125 and taxes are in addition.